Do I want to write an intro? No. So here we go with a very futuristic link selection. 👩‍🎨👨‍💻🔑 This is the most fascinating article I ever read on Art, AI, and Blockchain: Does AI Art Belong in the Physical, Digital, or Crypto World?. 🎧 I love this psychedelic groove: Marhaba by Maalem Mahmoud Guinia, Floating Points & James Holden. 🔐 Oli Frost has put all his personal Facebook data on eBay. Yes, you can really bid! 🔐 Nathan Toups has wrote a good article on going completely “Unquantified“. He also wrote a censorship resistant deadman’s switch. Do we live in a cyberpunk world? Absolutely! 👩‍💻👩‍🎨 You have to watch the videos/gifs of Madeline Gannon training industrial robots to use body language to communicate. 🔑 If you’re wondering how I often feel about technology: This is how I feel. 🎧 For some reasons, I spent a few days only listening to FIP (the best musical radio, and it’s french!). I created a playlist with some tunes I like. 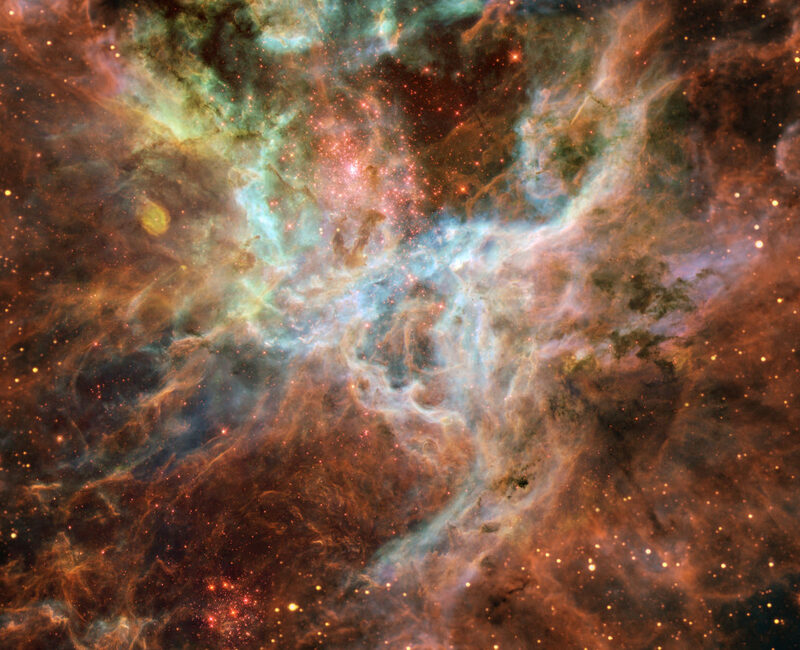 Image Credit: In the Heart of the Tarantula Nebula by ESA, NASA, Hubble, ESO ; Processing: Danny LaCrue.